Manchester City are ready to pay the €70m release clause for Atletico Madrid's Rodri, with the Premier League champions making the midfielder their priority target in the summer transfer window. Recent reports have suggested that Pep Guardiola has been intent on bringing in a new central midfielder at the end of the season, particularly after missing out on the signing of Jorginho to rivals Chelsea. Now, according to ​Goal, the City boss has identified Rodri as a potential long-term successor to veteran holding midfielder Fernandinho, with the club ready to pay the 22-year-old's €70m release clause to bring him to the Etihad. City's sporting director Txiki Begiristain was understood to be in attendance during ​Atletico's La Liga clash with Girona on Tuesday night at the Wanda Metropolitano where Rodri had featured. Despite potentially facing competition from rivals across Europe, ​City are keen on tying up a deal for the Spain international after Guardiola's frustrations at also missing out on Frenkie de Jong from Ajax earlier this year. 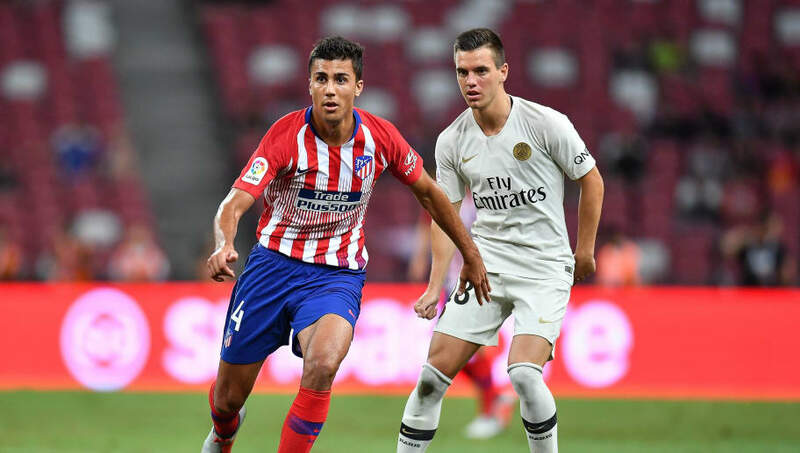 Goal further report that Begiristain is 'acutely aware' that Rodri has now become the preferred option of Guardiola, with interest in the Atletico midfielder now meaning that talk of a deal for Lyon's Tanguy Ndombele has cooled considerably. As well as signing a new midfielder, City are also said to be keen on recruiting a forward, with Eintracht Frankfurt's Luka Jovic and Benfica's Joao Felix amongst a number of possible targets, although the latter's €120m release clause is thought to be 'prohibitively high'.